Reserve your 2014 Panini Father's Day Packs at Sports Cards Plus TODAY. All you have to do is buy the Panini Products listed below and we will RESERVE the corresponding amount of FREE 2014 Panini Father's Day Packs for you to pick up on Saturday, June 14th. Sports Cards Plus, a.k.a. 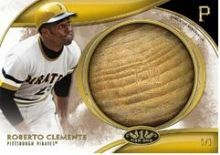 The Super Hit Factory has the LARGEST SELECTION of Sports Cards and Memorabilia in ALL of TEXAS at LOW, LOW, LOW Prices. Due in Friday is 2014 Topps Tier One Baseball with TWO AUTOS and ONE RELIC for ONLY $102.99 per box. 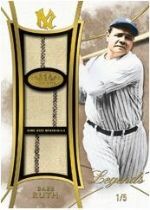 HUGE possible hits include BABE RUTH JERSEYS and a BABE RUTH BAT KNOB! Autographed Cuts include Joe DiMaggio, Hank Greenberg, Jimmy Foxx, Mel Ott, Satchel Paige and Ted Williams. Also due in Friday is 2014 Leaf Valiant Football with 4 Autographs per box for ONLY $79.95. Look for this product to quickly disappear as allocations were tied to orders of 2014 Leaf Metal Draft Football (currently selling for $130 per box on the internet).